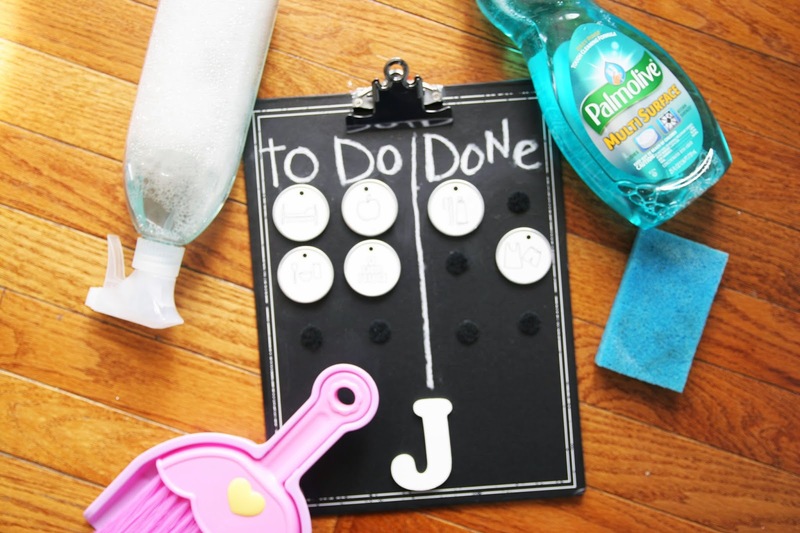 Now that warmer days are upon us, the itch to do some spring cleaning is real which is why I came up with these velcro chore charts. I am always looking for ways to get my girls involved in cleaning. 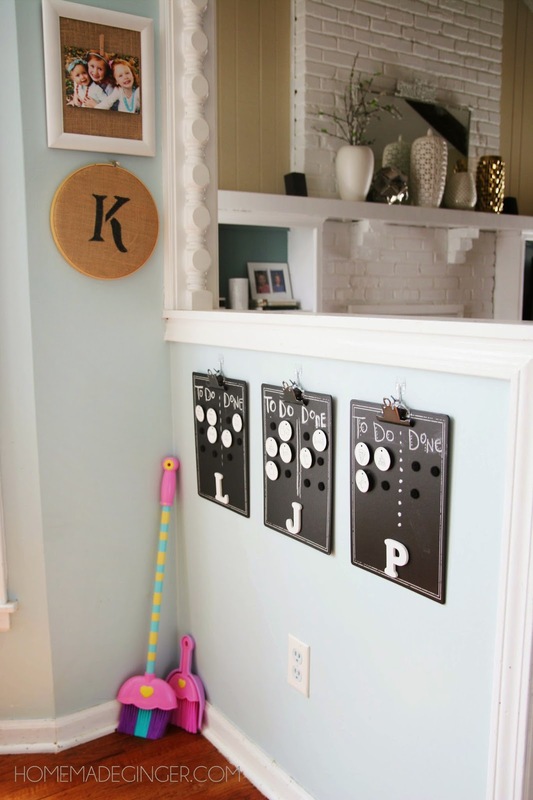 I know we’ve slacked off on having some regular chores so I decided to revamp our cleaning job system and came up with a super easy DIY velcro chore chart! 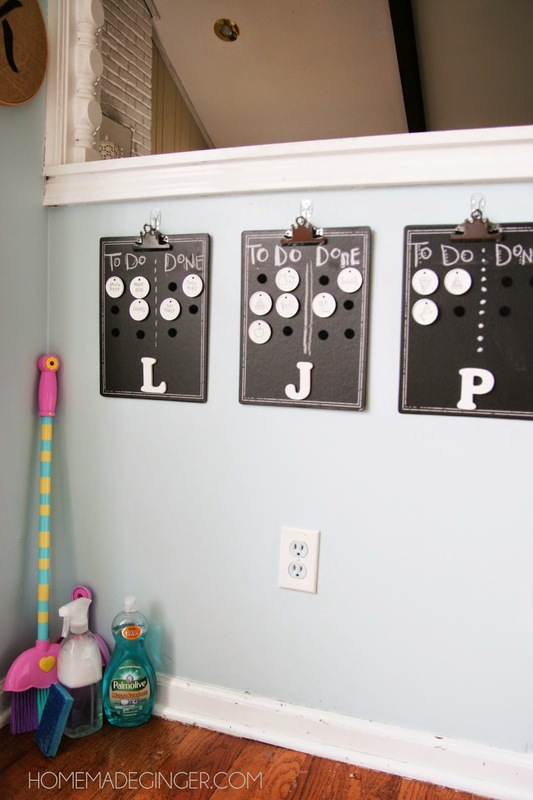 I hung the charts to create a little chore command center for the girls. 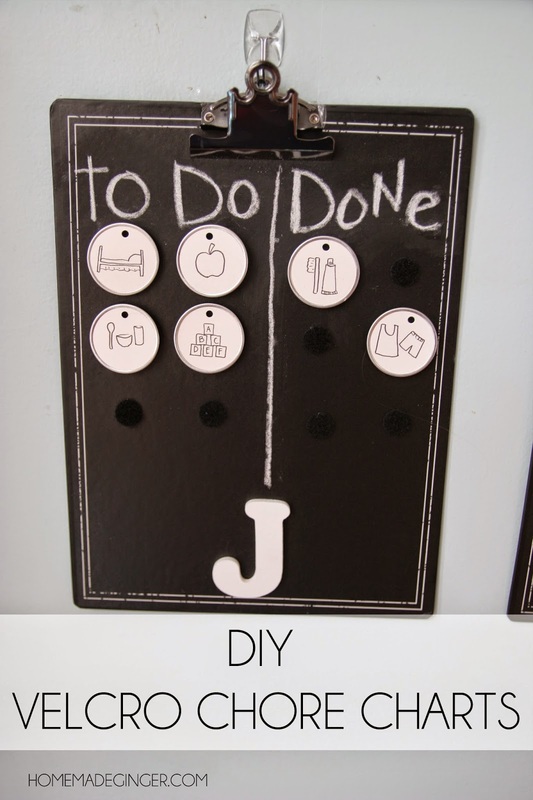 These charts are really so simple to make and I love them because it’s easy for even a toddler to remove the chore tags and move them over to the “done” column. 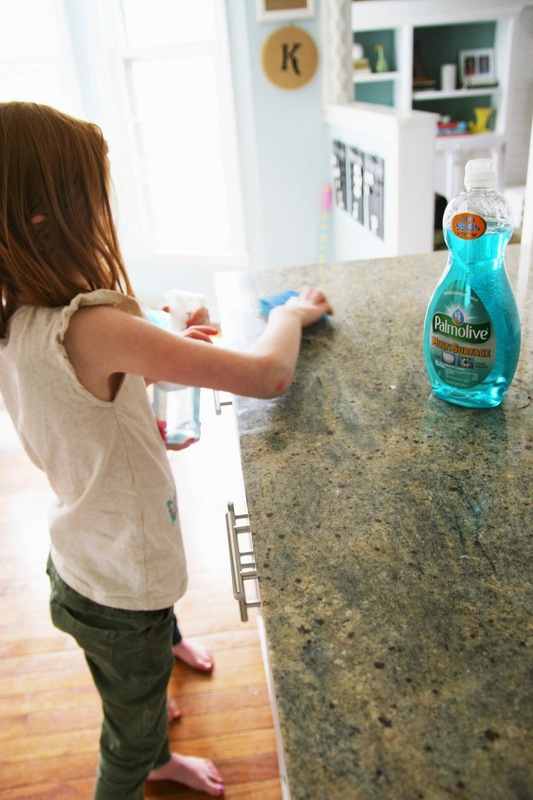 I also discovered a great new product from Palmolive® (Palmolive® Multi Surface) that makes cleaning so easy for kids because it’s one product that cleans multiple surfaces. But first, here’s how I made the chore charts! I picked up these cute chalkboard clip boards at Michaels. 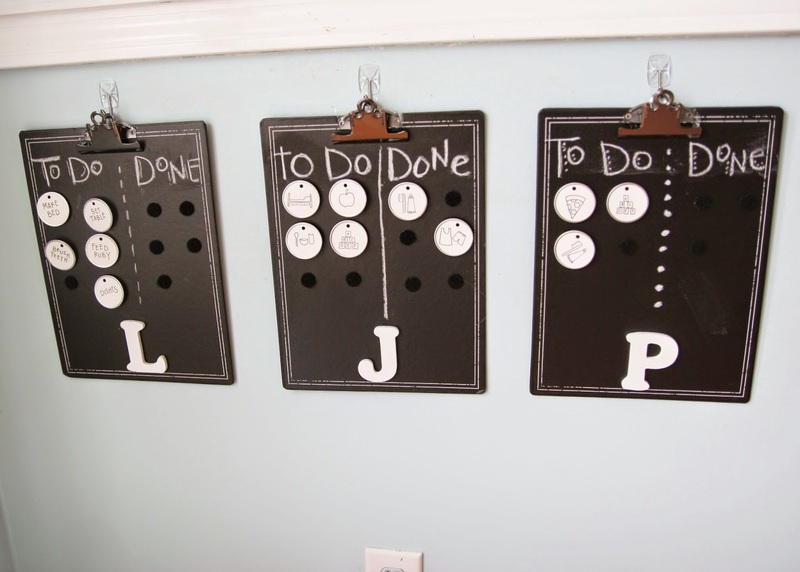 You could use any old clip board and paint it with chalk board paint or even just keep it plain. 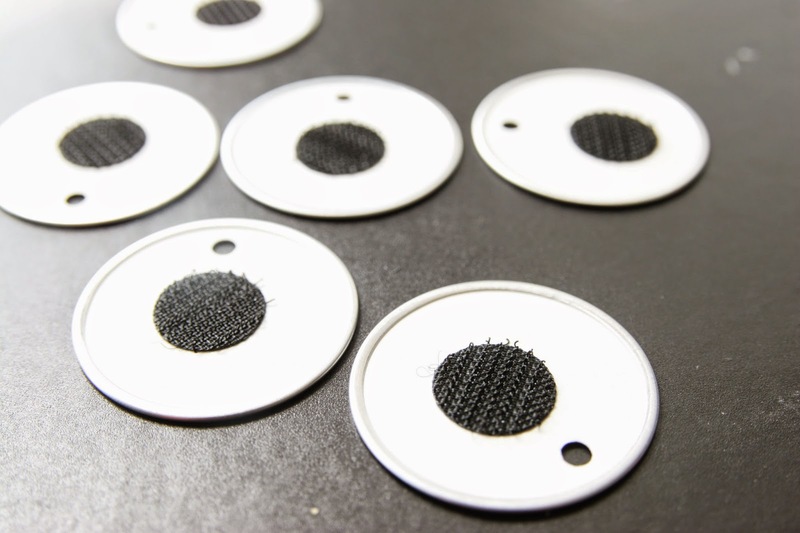 You will also need some circle tags, self adhesive velcro and wooden letters. 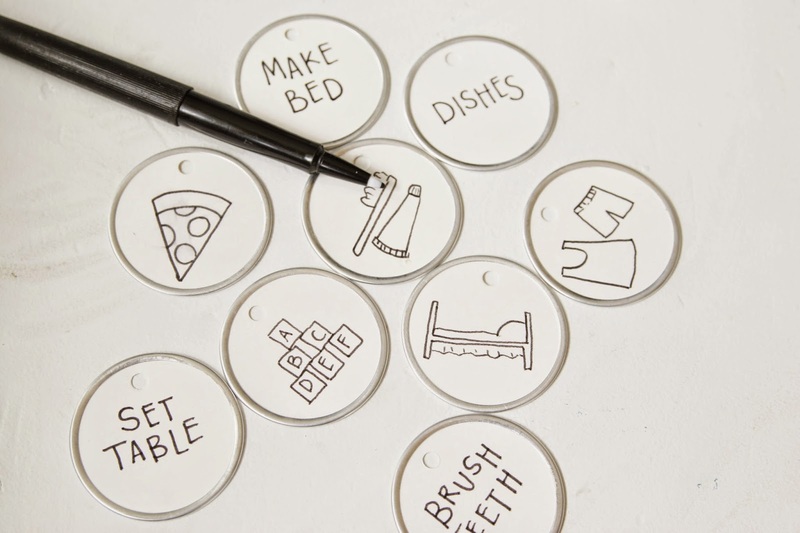 Use a permanent marker to draw your chores on the tags. I drew pictures for Pearl and Jane but wrote out the chores for Lula. 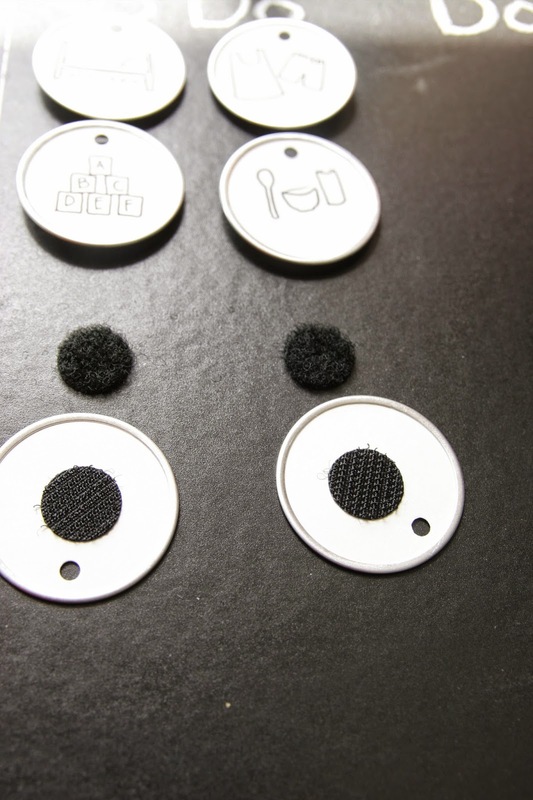 On the back of the tags, stick on one part of the velcro. 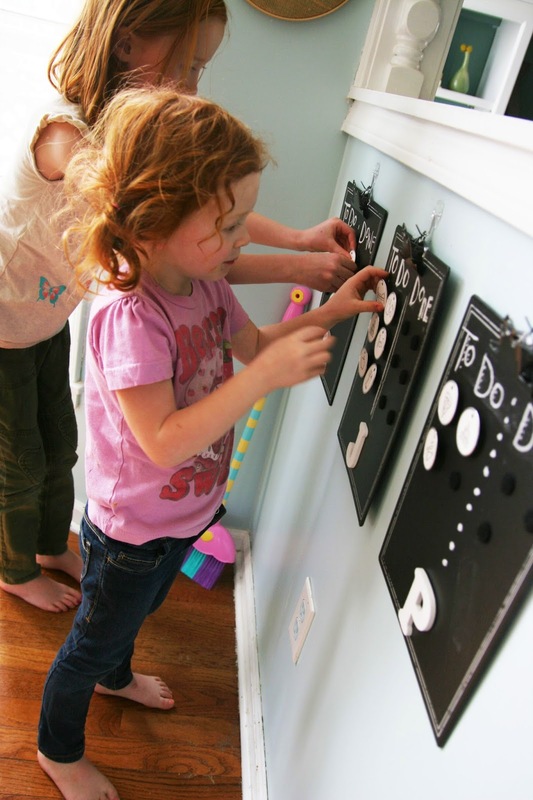 Attach the coordinating side of velcro to the chart. You want to make some rows on both sides of the chart so that you can have a “to do” and “done” column. I glued on an initial letter at the bottom for each girl. Draw on your “to do” and “done” with chalk. I hung my charts with command hooks and they stay great! They are at perfect eye level for each girl and now they are so excited about cleaning! To make their chores even easier, I picked up some Palmolive® Multi Surface dish soap at Walmart. Palmolive® Multi Surface eliminates 99.9% of bacteria (*staphylococcus aureus, Salmonella enterica and E. coli ((157:H7)) from dishes and hard non porous kitchen surfaces. We mixed it with water and put it in a spray bottle. The girls can spray down the counters themselves and wipe down with sponges! Then they can race over to their charts and move over the chore tags to the “done” column. 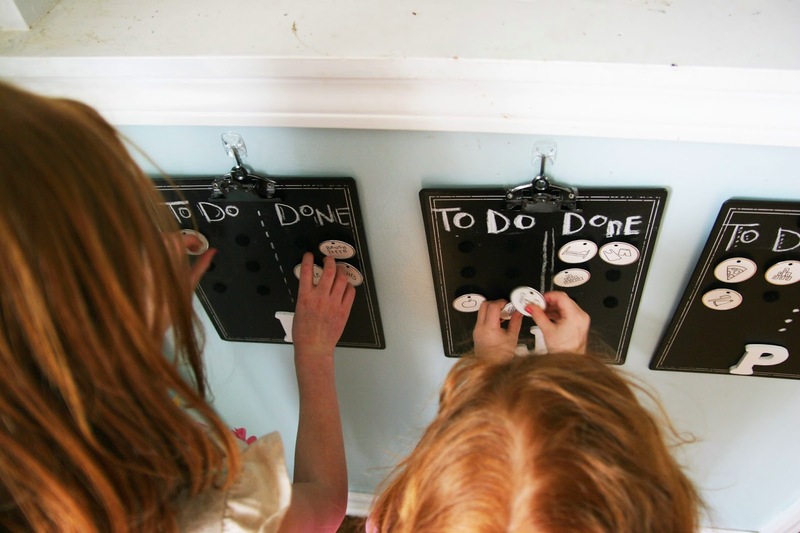 Do you have chore charts for your kids? I would love to hear any tips and tricks! And be sure to check out Palmolive® Multi Surface to make your life a little easier! Metallic Stone Thumbtacks + $25 Target Gift Card Giveaway!